I'm a runner - that has always been my first love. However, I'm also a runner who has been frequently injured - so I have cycled a lot (even more as I get older). Cycling is easier on the joints, knees, etc. - less pounding and a great way to get in some endurance training. I've commuted to work for almost as long as I can remember, I've done (and won masters category) in duathlons and triathlons. I've completed many sportifs (Sean Kelly Challenge, Wicklow 200 - 3 times), Mizen to Malin (600k - the length of Ireland - 3 times) and do most of my cycling in the mountains of Wicklow. I love the hills - both the ups and the downs. So cycling is, and is becoming more, important to me. Since I retired (early) in 2012, my bike collection has gone from two to six bikes. I think I'm becoming an enthusiast. 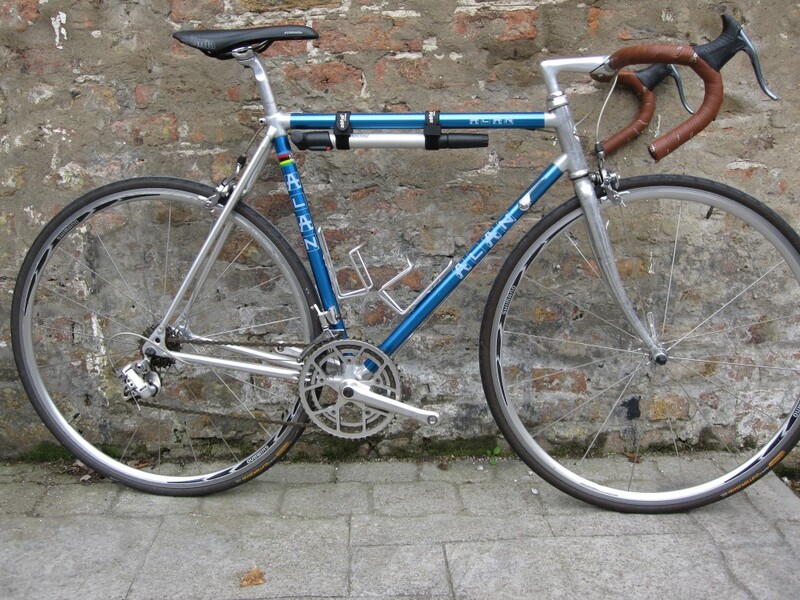 In about 1994/5 I fell "out of love" with steel bikes (I had two) when one (a five year old Reynolds 531 tubed Viking Triomphe with full Campagnolo Triomphe Groupset) developed a crack on the down tube, just below the friction shifters. It didn't break (a good job as I had cycled 75km in Wicklow and being a bit unfit, the only way I could keep up with the group was to chase them on all the descents). However after a very creaky ride (the bike - not me), when I got home, I found I could push the saddle closer to the handlebars and the whole frame flexed because of the crack, and allowed this movement - it explained the creaking I had heard all through the cycle and I also realised I was one very lucky cyclist that day. It was apparent that water had gotten inside the frame tubes and that the frame had rusted from the inside. Anyway I replaced the frame with an "Alan", an Italian bonded aluminium frame as that was the only material available to me which would not rust (without realising the reputation bonded aluminium frames had for breaking of their own accord without provocation from external events) and subsequently replaced my steel Raleigh 501sl commuting bike for an aluminium mountain bike. I lived happily with those bikes for a further 15 years - my Alan frame survived for those years (almost) unscathed as my primary training, competing, and sportif bike. 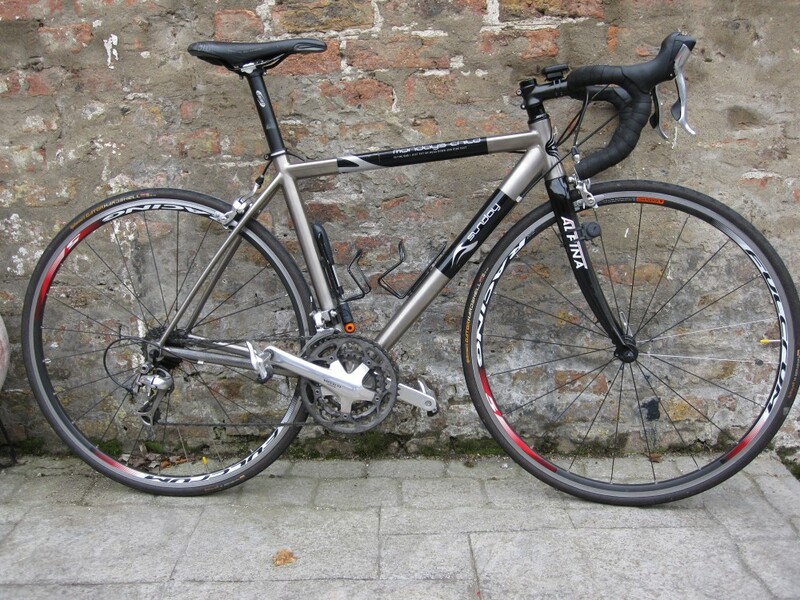 Throughout the years, the Alan was upgraded, extra gears added (from 6 up to 8 speed), dual pivot aero brakes - essentially it became Campagnolo Friction Geared, Shimano Wheels, Shimano Brakes. However, there came a time when I wanted more gears and maybe more modern gear changing ability (wasn't sure I needed this but it seemed easier to go with the flow). 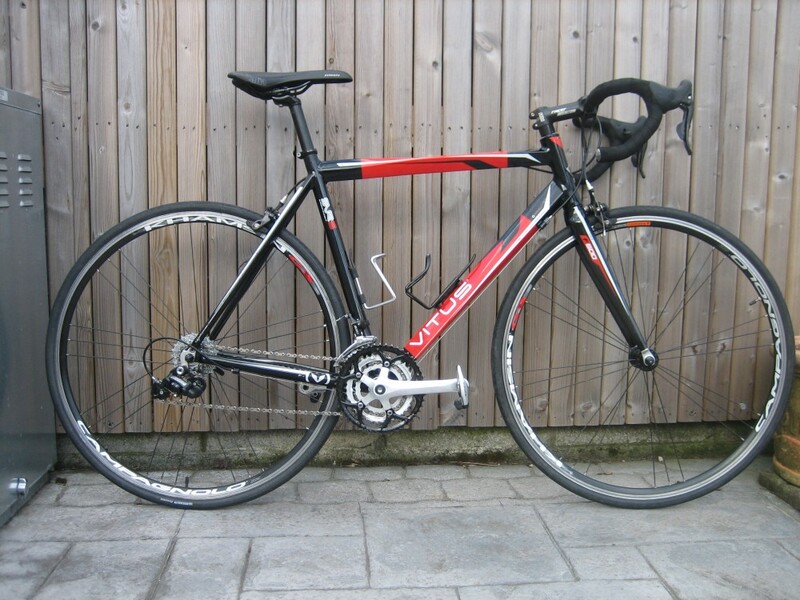 I bought a bike sold by a local supermarket discounter (Lidl), full Shimano Ultegra Groupset, unknown origin aluminium frame and carbon forks, and all for less than the retail price of the Ultegra groupset. Two years later, I upgraded the frame to a Sunday Cycles (UK company, now known as Sabbath Cycles as a result of a threatened lawsuit by a US company of same name) and completely built of Titanium (no rusting potential here). ⇒ My "Alan" (aka my winter/bad weather road bike). And my first retirement project was to clean up my Alan which had been ignored since the previous winter. I did such a good job of cleaning it that I could no longer use it as a winter bike - that sparked a search for bike number 4 (a true winter bike). I did find bike number 4 - a relatively modern Vitus SVRS (Vitus by name, not a true traditional Vitus) needing a bit of work (which it got). The bike is Aluminium with Carbon forks and is equipped with Campagnolo 10 speed, mix of Mirage, Zenon, aand Race and nice Khamsin wheels. The bad news was that this bike got me interested in Vitus bikes (Sean Kelly, arguably Ireland's greatest professional cyclist) was famous for riding Vitus 979/797s (similar aluminium bonded technology to my Alan bike). 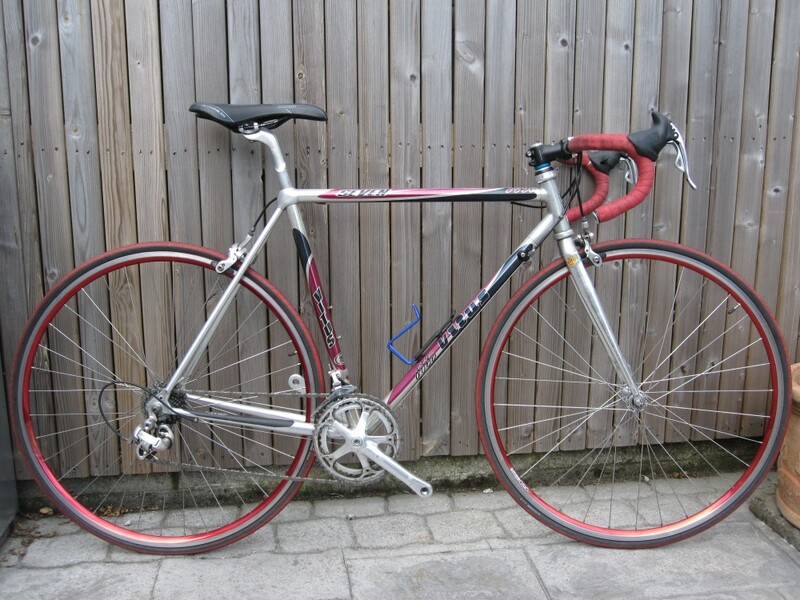 Watching for Vitus 979s on eBay, I came across a reasonably priced Vitus Seven (a late variant of the type 979) from around the mid 90s, with Campagnolo Veloce 9 speed and bought that - I now had bike number 5. Hard to find out much about Vitus Sevens, except to say that it is a real Vitus using their bonded aluminium technology and it was possibly built either just before or just after Vitus had had its first financial failure - maybe raiding parts from the parts bin to construct a new model? However it is a beautiful bike. During the timeline of this project, I sold bike number 4 (Vitus Winter Bike), to my son Shane, and replaced it with bike number (lets call it 4a) a Felt F75 (which is now my current winter bike) which I bought from my son Neil. We were all doing each other favours in this transaction, although the net effect was that it cost me money, but I did get a much better bike as a result. The Felt is built, as with many bikes these days, with an aluminium frame and carbon forks, equipped with a Shimano 105, 10 speed groupset. 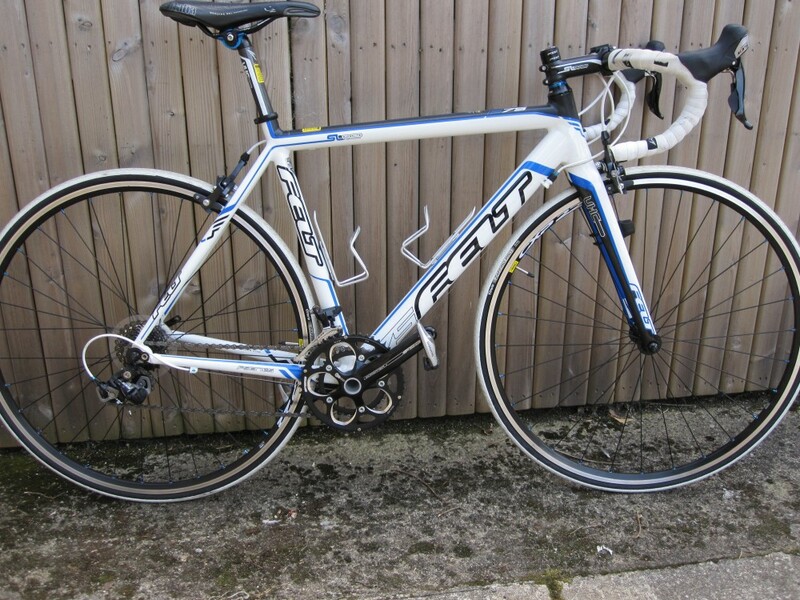 Probably too good to use as a winter bike, and definitely the wrong colour for a winter bike. But who cares? You may have noticed that there are no Carbon Fibre bikes in my stable. This is not an accident. 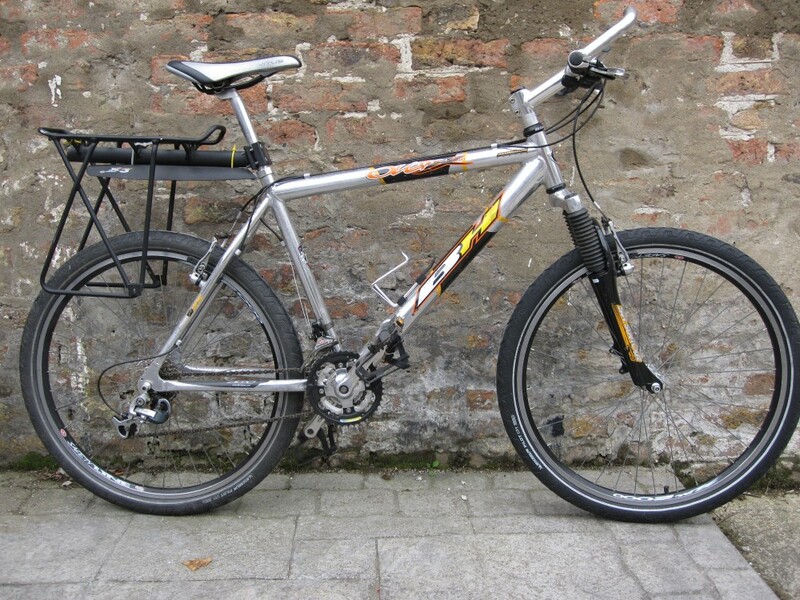 I actually have never cycled a CF bike, but I don't feel CF is suitable for making a "bike for life" and it seems more suitable for a throwaway society. "When it breaks - throw it away and replace it" - a bit like Swatch watches and I prefer Seiko. So, I've stayed away from these plastic (sorry "carbon fibre") bikes and stuck with something I perceive to be more resiliant. I might just be old fashioned, and I reserve the option to have a change of heart in the future. However, I do think that all CF bikes are pretty ugly, except for the very first ones (back in the 90s) but these were definitely very fragile. It is worth including a note about my mechanical ability at this point. I am not a novice, having owned a bicycle pretty much since my teenage years, and not having a lot of disposable income for most of the period since, I did a lot of my own maintenance - although I did live by the motto "if it ain't broke don't fix it". Even after completing this restore project, I have never dismantled an old style headset, up to six months ago I had never opened up an old style "square taper" bottom bracket. I had messed with the easier things - brakes, gears, wheels including freewheels, cassettes, and even bearings when I was younger and poorer. Two years ago I took all components off a modern bike (broken frame) and re-assembled them onto a new frame (modern bikes have much easier parts and fittings to work with, e.g. Shimano's Hollowtech Bottom Brackets and Cranks). But for this project, I "Googled" and found guides and video on how to tackle most of the problems, and I had a pretty good bicycle maintenance book too. I basically followed the "monkey see, monkey do" principle which most people can do if they put their mind to it. So no rocket science was needed, nor used, here.